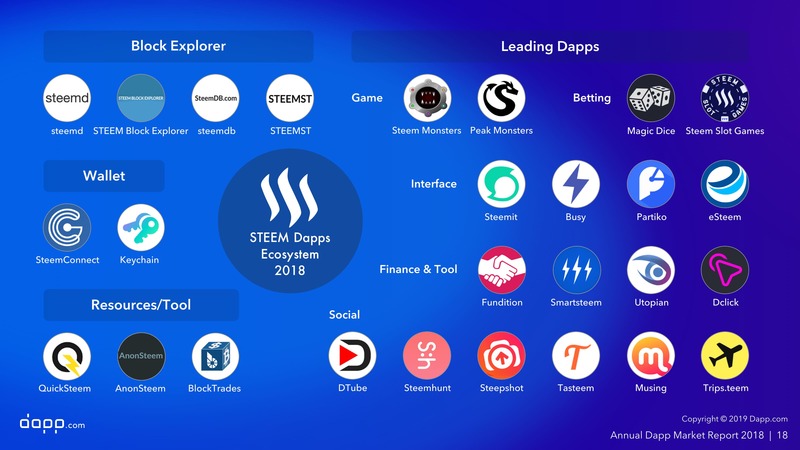 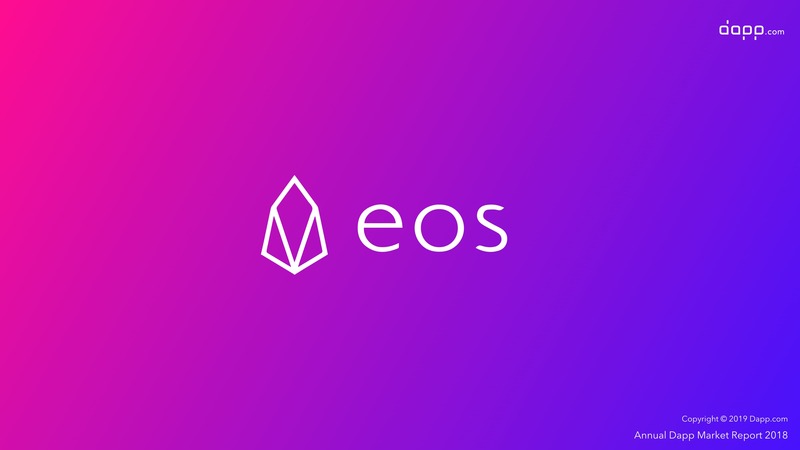 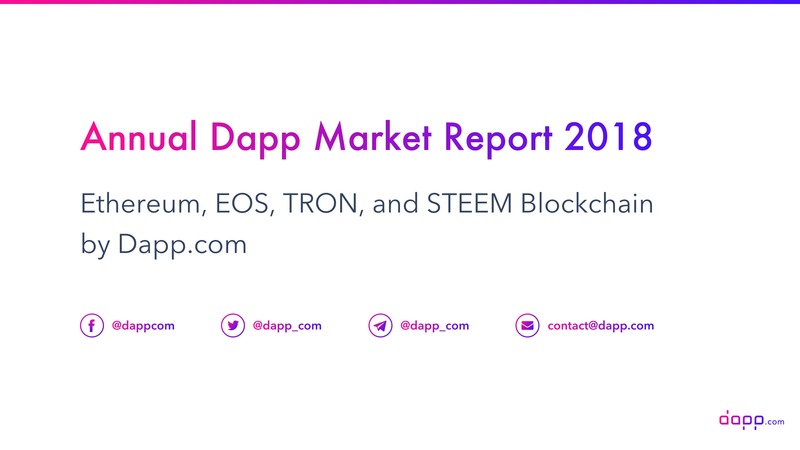 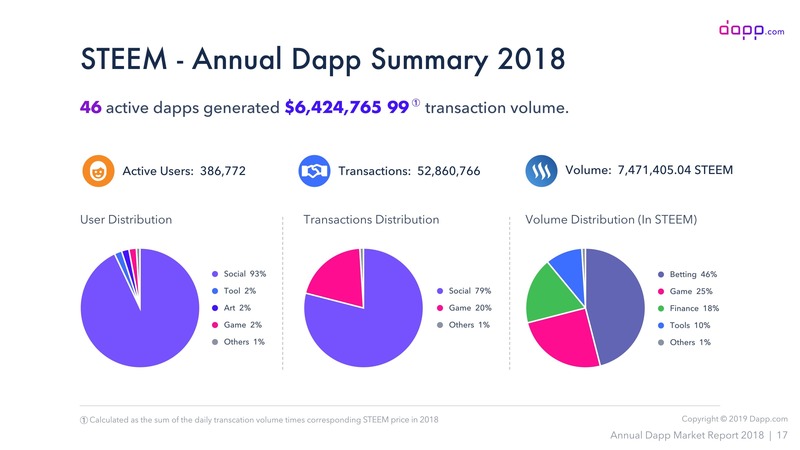 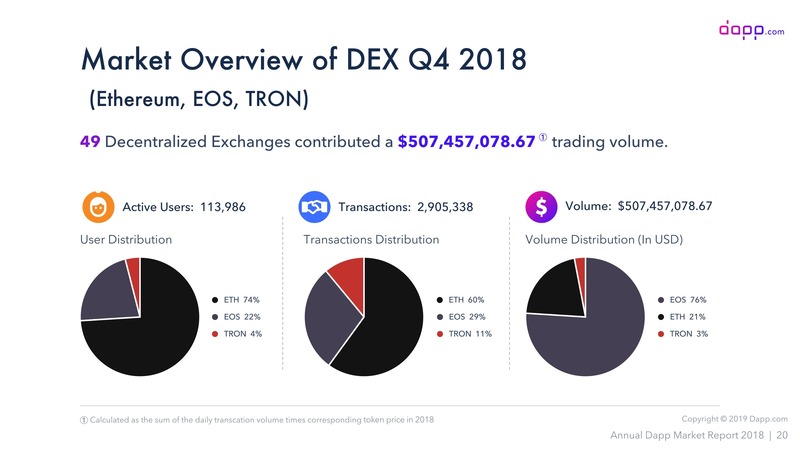 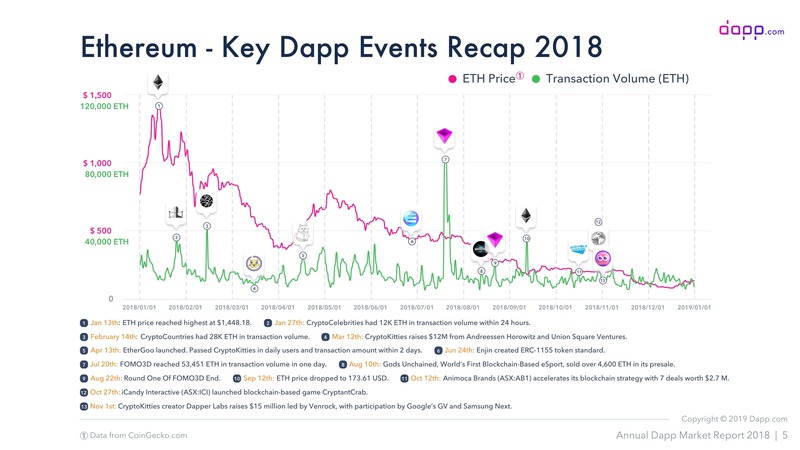 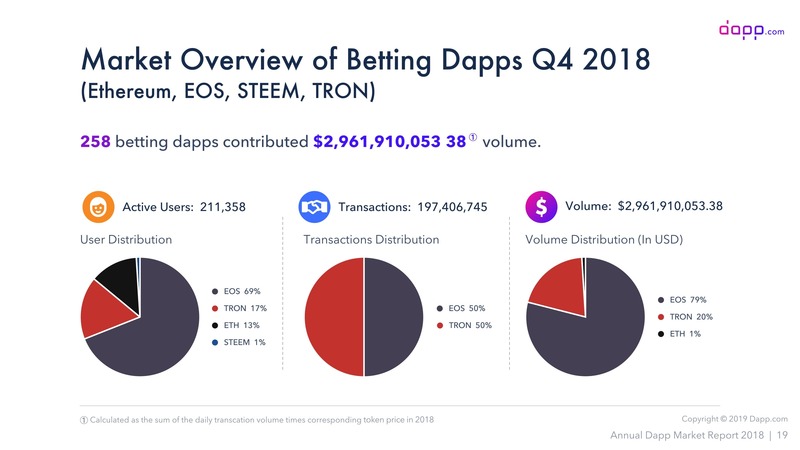 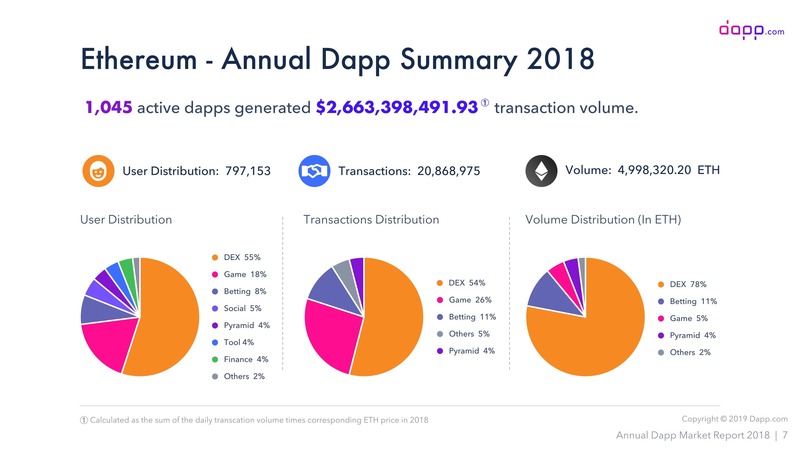 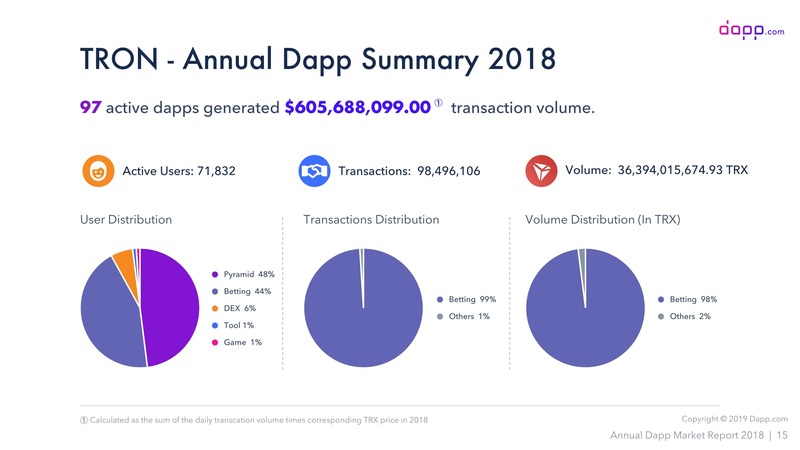 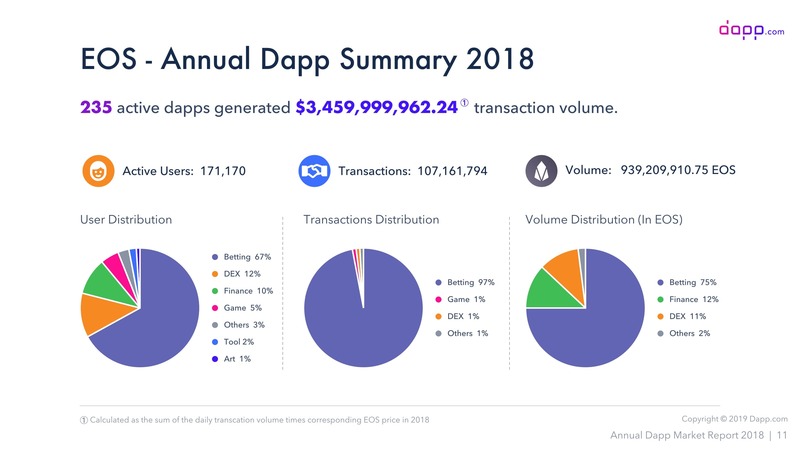 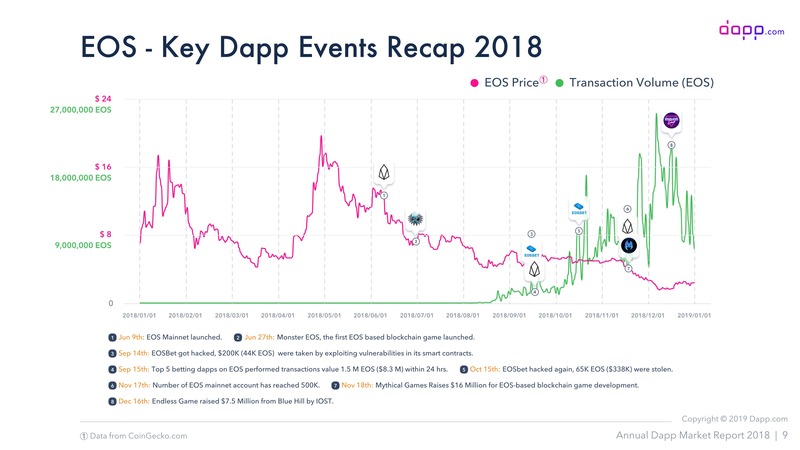 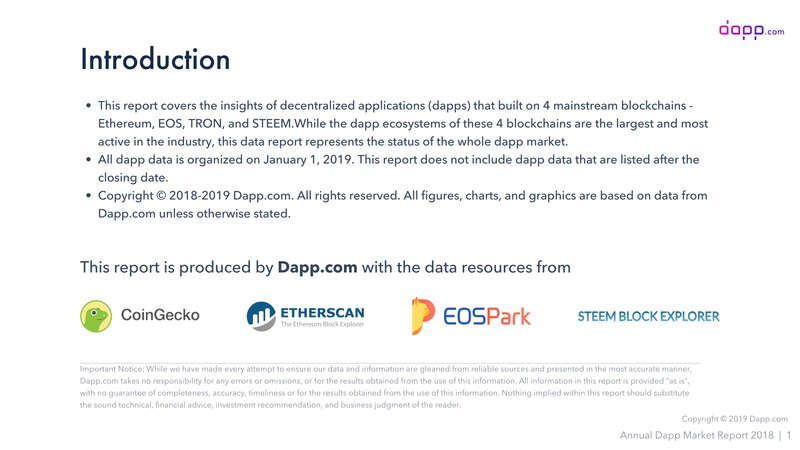 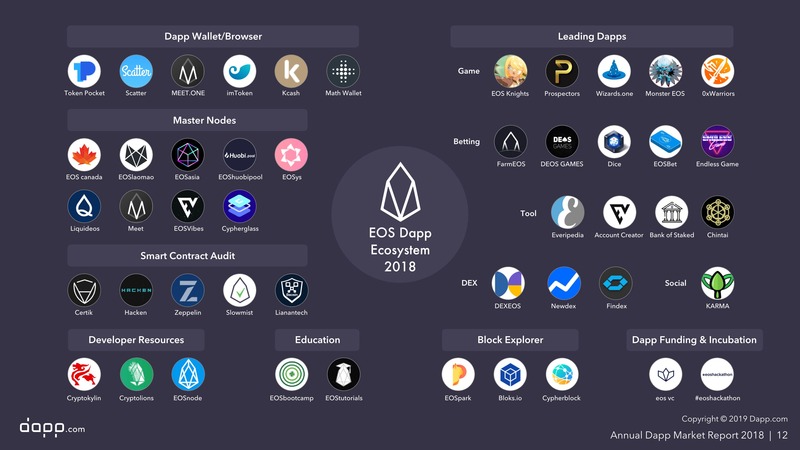 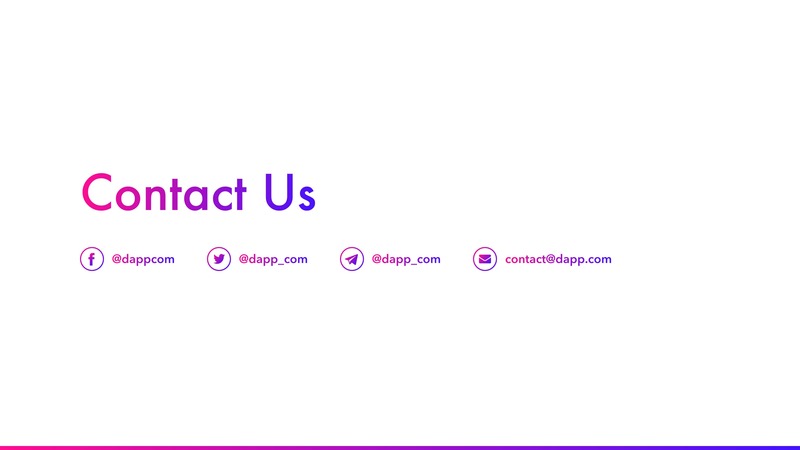 Dapp.com's 2018 dapp market report summarizes data and provides insights into 4 mainstream blockchains - Ethereum, EOS, TRON, and STEEM - they represent the whole blockchain ecosystem with the most active users in the market. 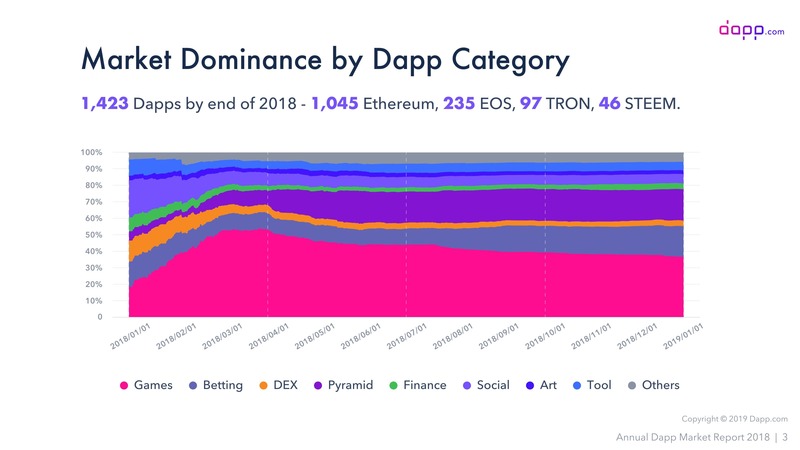 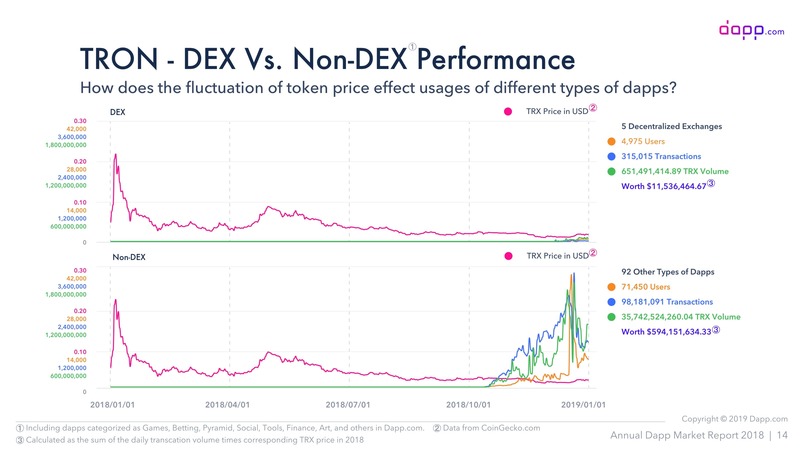 Because of its first-mover advantage, Ethereum blockchain still dominates the market in regards to the number of dapps, wallets, and dapp users. 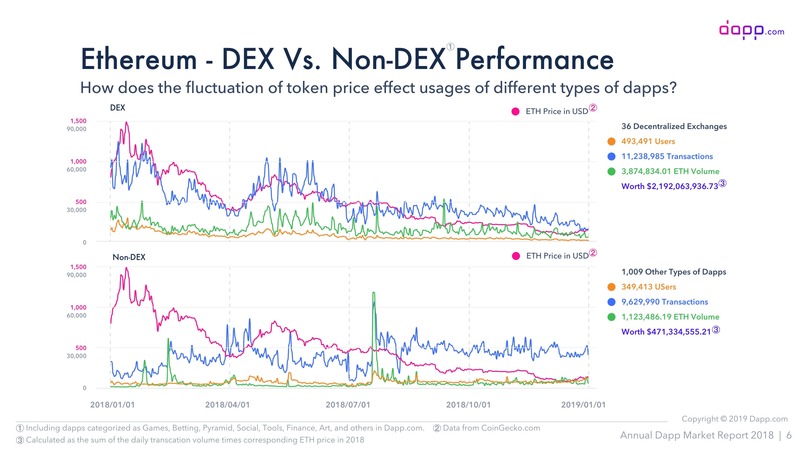 But compared to other blockchains, it has less transaction amount, and 2019 might be the challenging year for Ethereum especially for its scalability - its transaction speed will greatly affect the user experience. 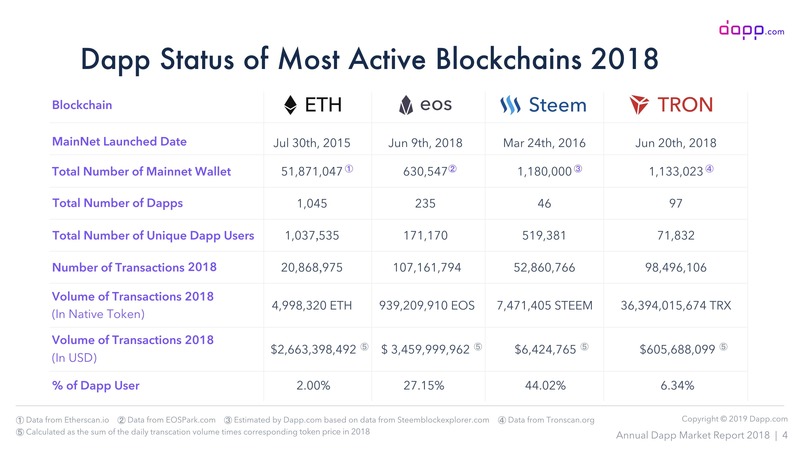 In addition, Ethereum is the only one of 4 blockchains in this report that needs gas fee for its transaction. 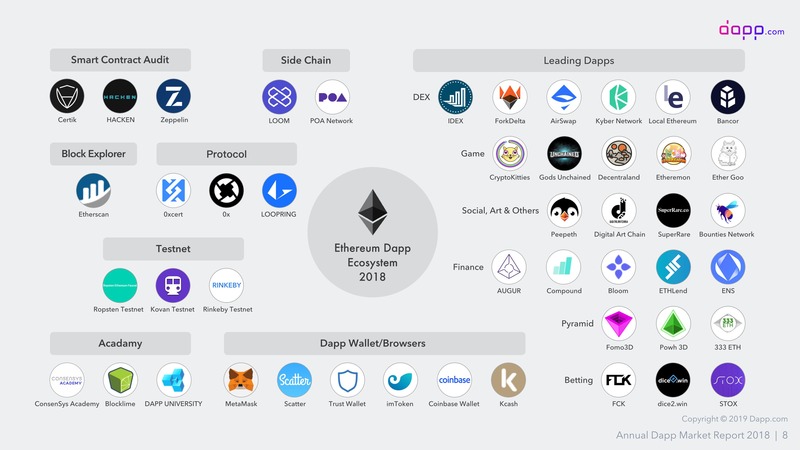 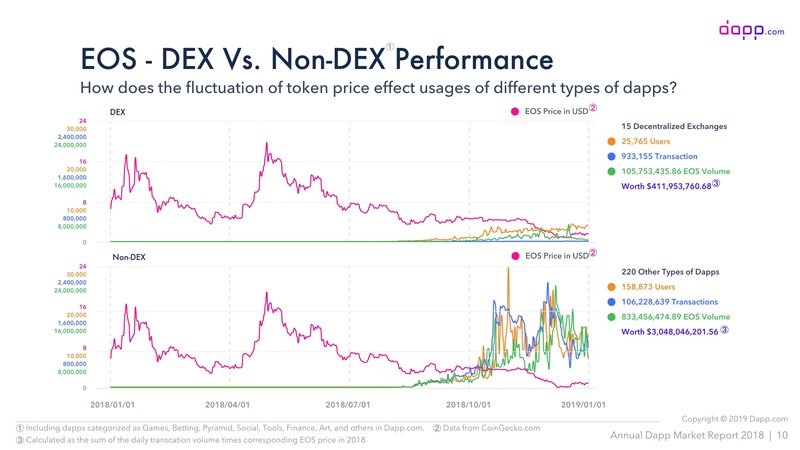 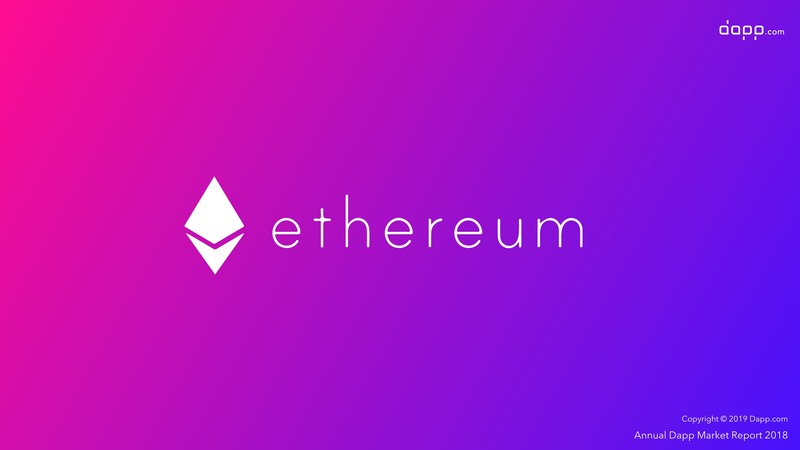 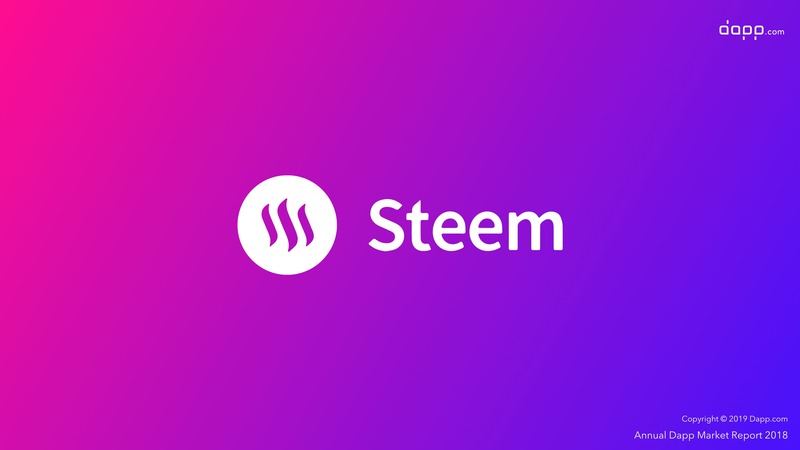 The fact that users have to own ETH to start their experience with decentralized apps are also hindering the mass adoption for Ethereum dapps. 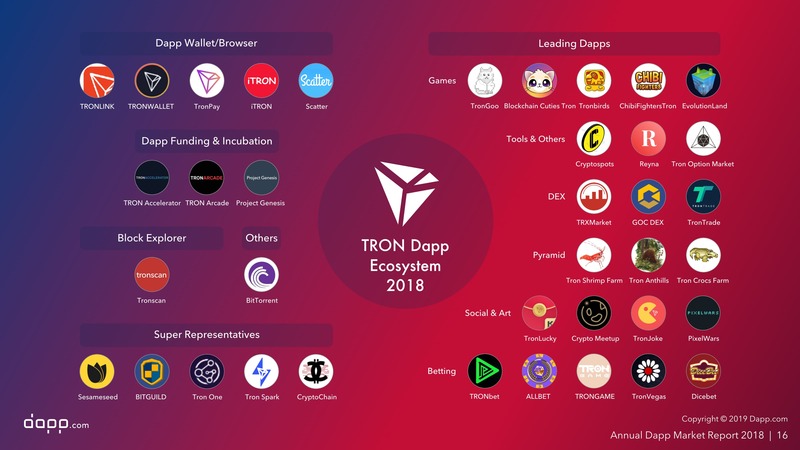 Like EOS, TRON's Masternodes (Block Producers), known as Super Representatives (SR) on TRON, are actively promoting and supporting dapp's ecological construction. 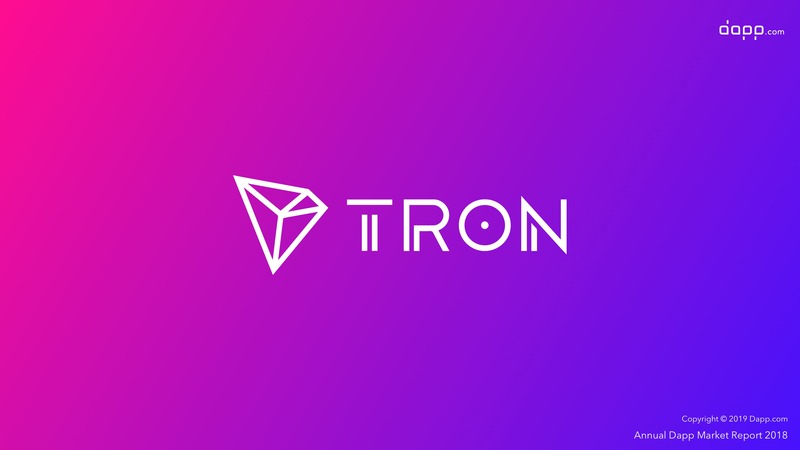 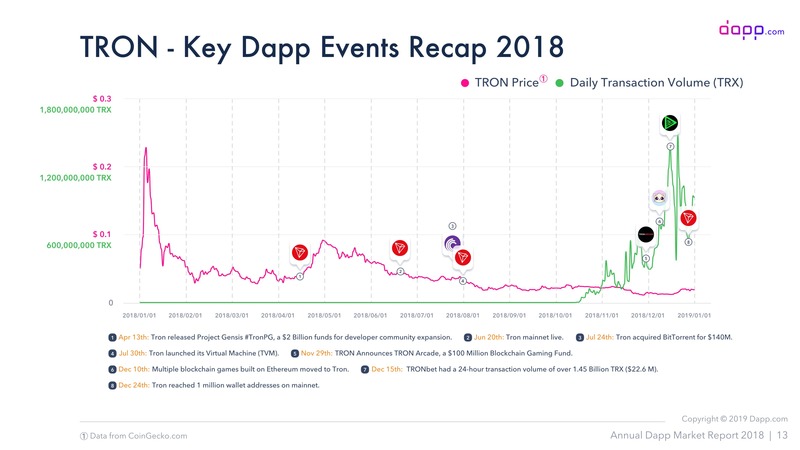 Many of the SR participants were formerly game developers, and we can expect more high-quality game production on TRON in 2019. 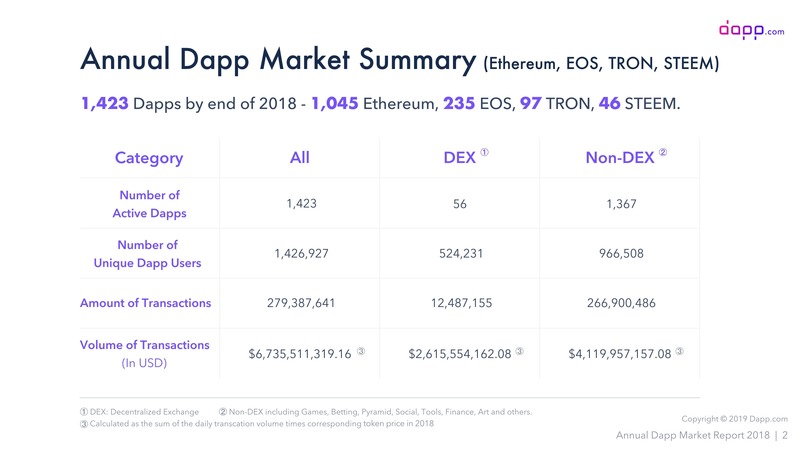 Many of the Ethereum's early dapp developers are moving to TRON, including Ether Goo and various Farm Games (idle games).